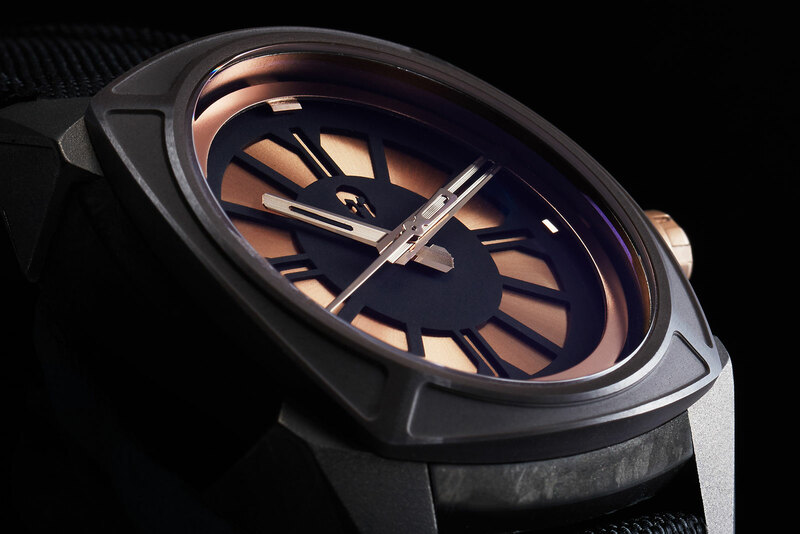 The Elemental combines three novel materials in an aggressively styled watch that's priced affordably. 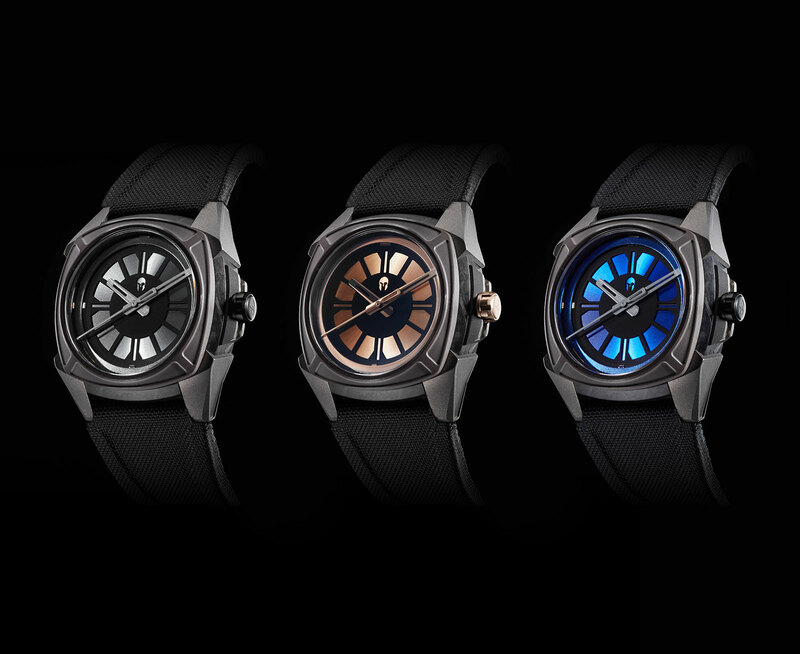 First launched as a crowdfunded Kickstarter project that was so successful it raised twice the target of US$50,000, the Vilhelm Watches Elemental has now entered regular production. The first wristwatch from Vilhelm Watches, a brand conceived by a pair of Singapore watch enthusiasts, the Elemental is cushion-shaped with brawny lugs. Its most notable feature is composition of the watch case: the middle is carbon composite, the bezel is grey ceramic, while the lugs and crown guard are sandblasted titanium, a mix of materials typically found on pricier watches. Carbon composite is made up of carbon fibre threads randomly arranged inside a polymer, giving it a marbled appearance. 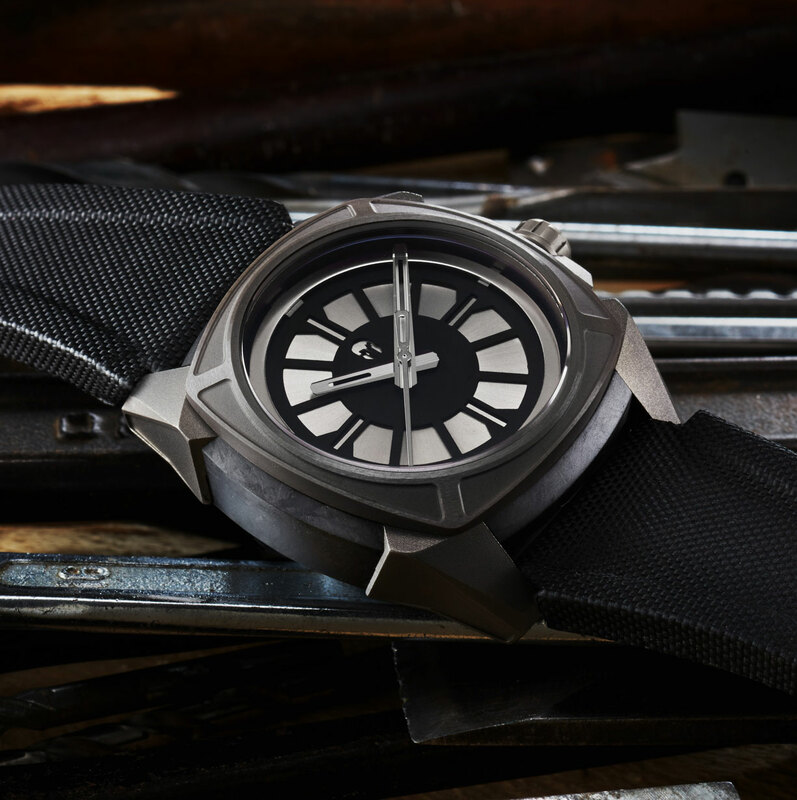 Sometimes called forged carbon after the process used to produce the material, carbon composite is lightweight and strong though favoured in watchmaking for its aesthetics rather than physical properties. Inside the carbon composite middle is a steel ring that holds the case back and movement, a construction typical of the material. Initially slated to be a Miyota automatic, the movement is now a robust ETA 2824, after the project exceeded the “stretch goal” of fundraising on Kickstarter. While some elements of the design are familiar, the Elemental is original enough to be distinctive. Notably, the design is imposing and seemingly huge, the Elemental is smaller than it looks, with short, angled lugs that sit well on smaller wrists. Three dial colours are available, all finished in the same manner. Galvanic treated for colour, the lower dial plate is decorated with radial brushing, while the open-worked top plate is a matte black. The Elemental is one of many crowdfunded watches to emerge of late, but manages to be different enough to appeal, especially with the low price. Like other watches in this price range the Elemental is put together in China – though the movement is Swiss – but well put together and also unusual in materials and form. 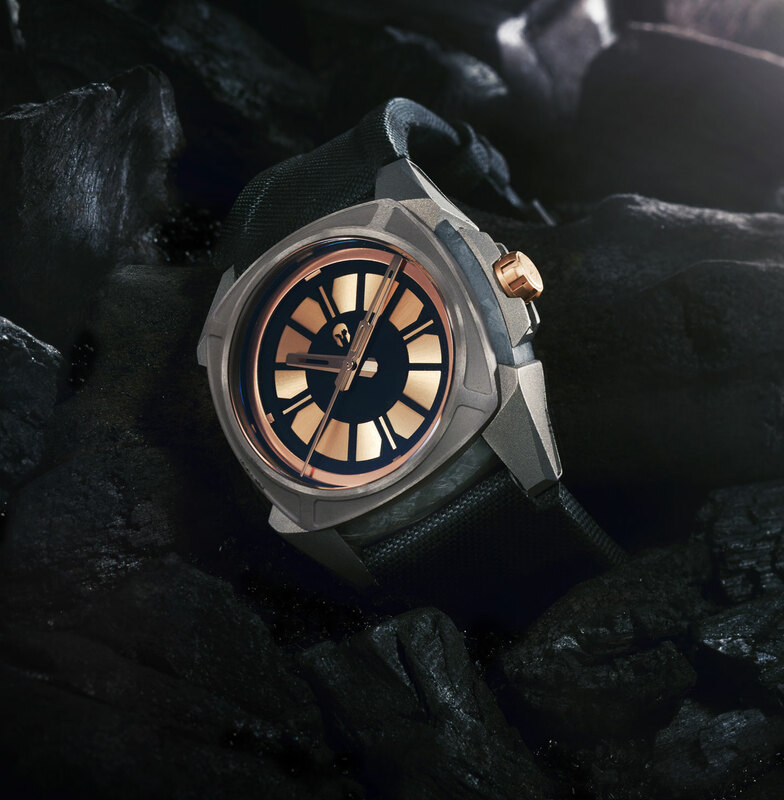 The Elemental is available direct from Vilhelm Watches and priced at US$749.